Are you still buying bottled water? Are you still drinking tap water with all the chemicals? 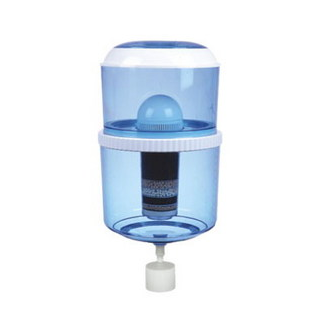 Here is the solution for all your drinking water needs: The Water Filters Melbourne filtration bottle is designed to fit your water cooler. It will provide you with great tasting water made from your own tap. The only cost you will have is the cost of changing the filter cartridge every 6 - 12 months depending on your usage. If you own a water cooler and still buy bottled water, you can now replace that bottle with our 7-stage filtration bottle and enjoy water that doesn't taste like chlorine. You will love this product! It is easier to refill this bottle than lifting the heavy bottles you buy from the bottle companies. If you click on one of the water cooler links you will be directed to the product page of that water cooler. Here you find all information you need and also the prices.